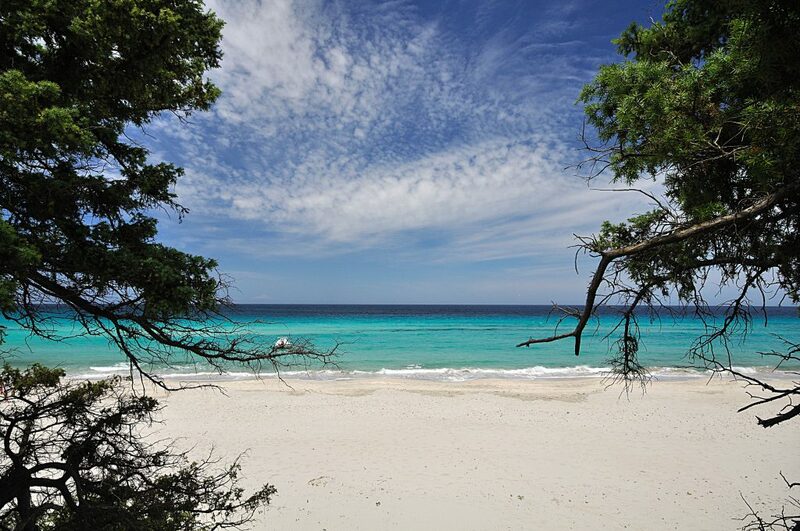 Our next destination at island profiles is Corsica. This fourth largest of the islands in the Mediterranean Sea is the equivalent of a mountain in the sea. Two thirds of the island is a single chain of mountains which reach as high as Monte Cinto at 8, 878 feet. It is an island of jagged peaks, sparkling bays, and sophisticated towns and cities. Palms, olive and orange groves and vineyards dot the low areas by the sea, giving way to pine forests, alpine lakes full of trout and the strong scent of myrtle as one ascends the terrain of the interior. 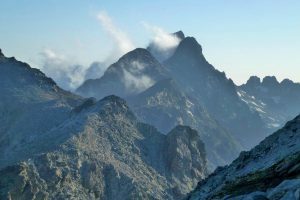 There are many wild, remote areas waiting to be explored and plenty of hiking trails which lead hikers to dramatic rock formations and ancient villages. The superb hiking trails turn into cross country skiing trails in winter and the months of February and March even offer downhill skiing. 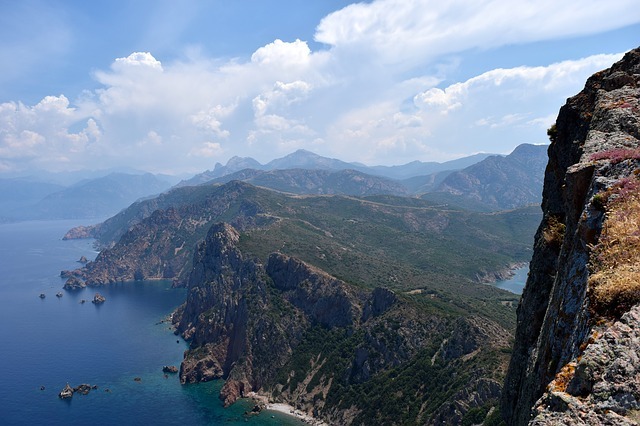 The Corsica Natural Park covers nearly forty percent of the island and preserves a rich variety of flora and wildlife. 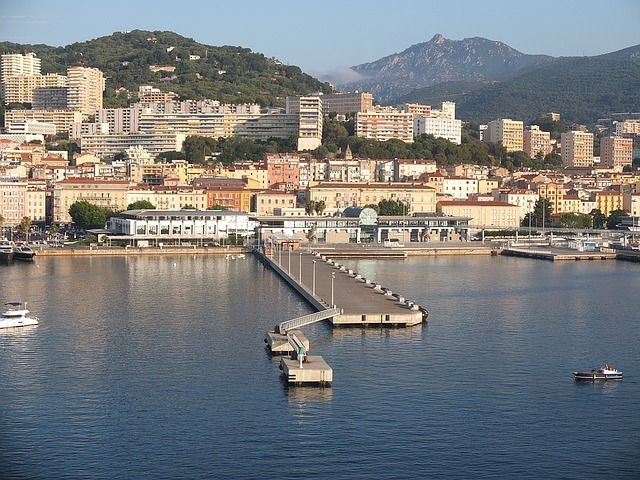 Napoleon’s hometown is Ajaccio, the capital and largest city on the island which dates as far back as the 2nd century. 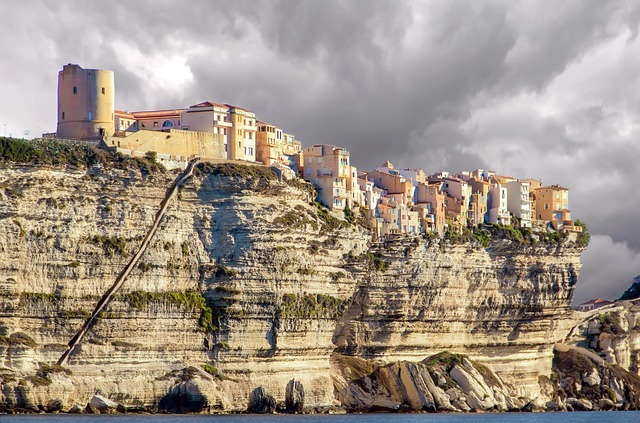 Bonifacio, a city dramatically perched on the edge of a cliff, is likewise rich with history. 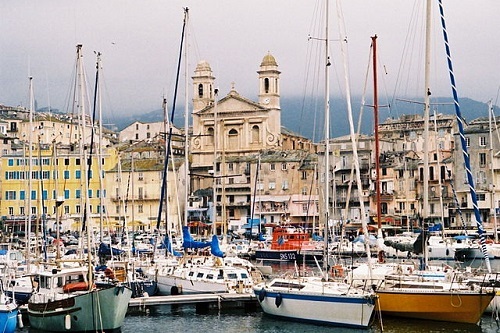 Other towns include Bastia, a town of winding streets and Baroque churches that is often nicknamed ‘Little Marseilles’, the old capital of Corte in the interior and the stunning city of Calvi on the northwest coast. 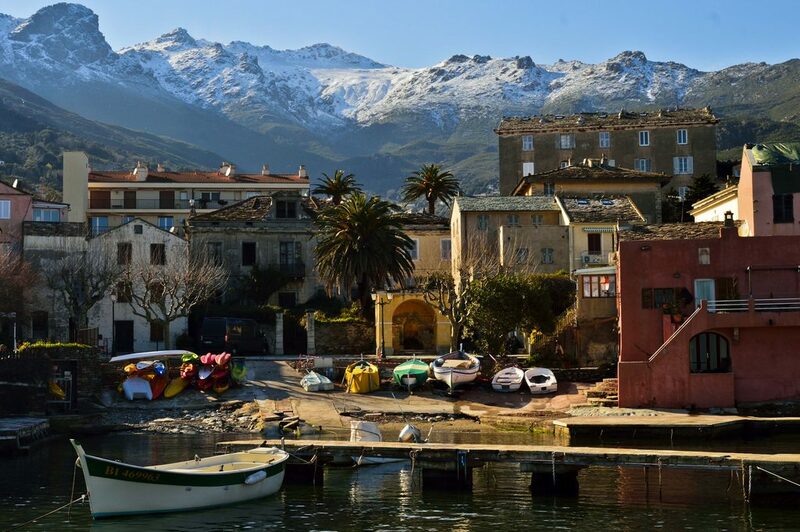 Throughout the island, the physical remains of Corsica’s occupations by the Ancient Greeks, Romans, the Republic of Genoa and others give a fascinating glimpse of the island’s rich and tumultuous history. The island has been a part of France for almost 250 years now, but still retains a strong Italian influence in its traditions, cuisine and language. Although French is the official language, about ten percent of the island still speaks the medieval Tuscan influenced Corsican language. 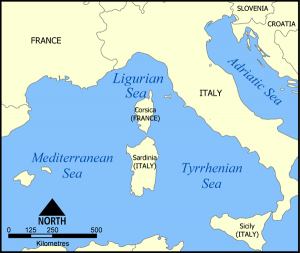 The island is located in the Mediterranean Sea south east of mainland France, west of Italy and north of the Italian island of Sardinia. It is actually closer to Tuscany in Italy than to the southern coast of France. 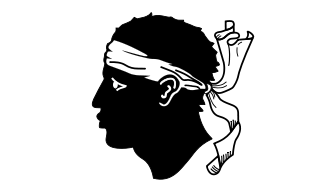 The people of Corsica lived in the mountainous interior of the island during much of its history to protect themselves from attack. The island gained a reputation during Roman rule as being the most backwards part of the empire and a place of exile. The Roman senator and philosopher Seneca was among those sentenced to exile on the island. With time, the island’s people gained a reputation for being extremely patriotic and lovers of freedom and justice. They consider themselves Corsican rather than French. In 1971, author Dorothy Carrington published Granite Island, a portrait of life on Corsica. There is a quote from her book which has been referred to often in writings about Corsica. She was told by a local fisherman, “Get away from here before you are completely bewitched and enslaved”. I am so excited to explore the culture, sights and history of this bewitching island that over time has earned the nickname the ‘Isle of Beauty’.